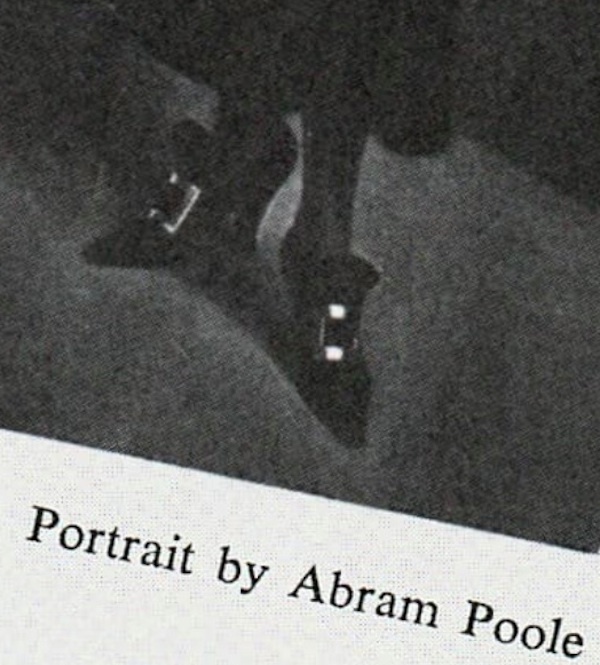 One day in 1960, Greta Garbo was standing in a health food store in New York City when she saw a “long-toed, silver-buckled shoe” and the edge of “a black highwayman’s cape.” She knew immediately that it was Mercedes (De Acosta). A fifties friend, Buddy Radisch, told Kornbluth, “Andy (Warhol) was the classic star fuc**r, but he had nothing to contribute, he couldn’t speak,” and went on to describe a picnic with Garbo. 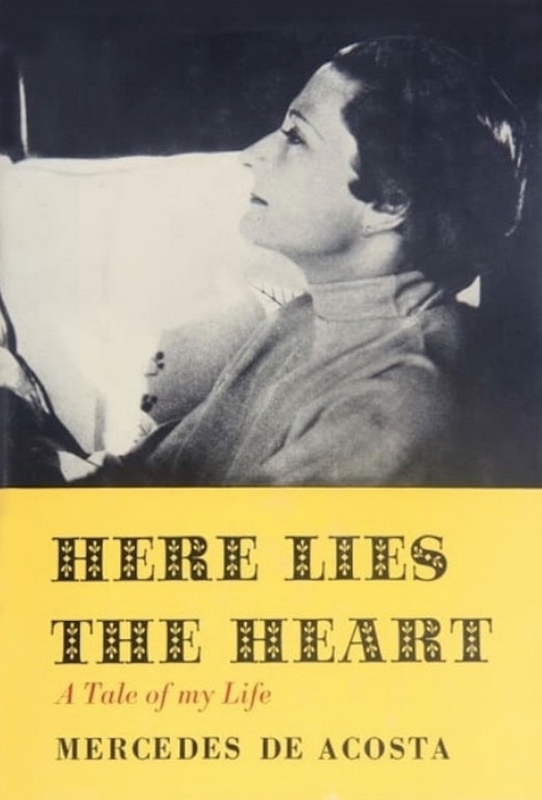 Andy was invited by Mercedes de Acosta; her unabashedly lesbian autobiography, "Here Lies the Heart", which caused Garbo to drop her, had not yet been published. 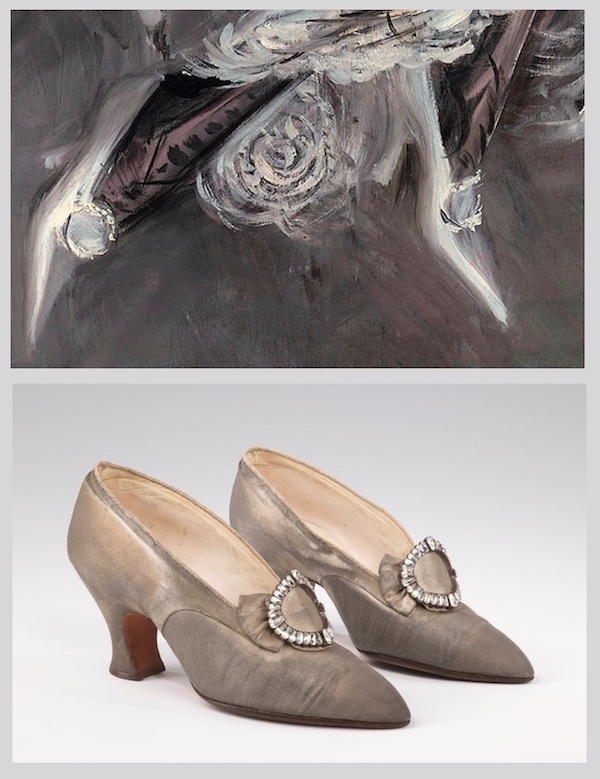 Andy considered de Acosta the height of elegance because not only were her shoes made in Europe, but her shoe trees were made by a violin maker. He was beside himself to be in the presence of Garbo, but couldn’t think of anything to say to her, so he drew a butterfly and handed it to her. At the end of the day she absentmindedly crumpled it and left it. Andy picked it up off the ground, and had his mother write across it, “Crumpled butterfly by Greta Garbo.” Even then, Andy knew how to turn his rejection into an object, pain into art. A good story, nicely told, as always by Bob Colacello. The shoe trees part however is off target. Here how it was, as told by none other than Mercedes de Acosta herself. The most beautiful things about all the shoes he (Yantorny) made for Rita (De Acosta Lydig) were the trees. He wanted to fashion them out of the lightest wood possible, so he made them out of violins. 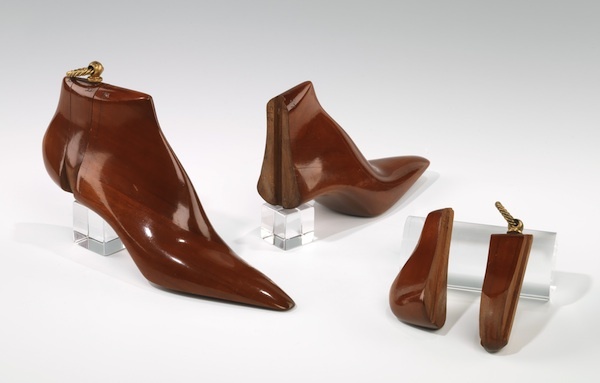 Rita bought old violins and he transformed them into shoetrees so exquisite that they are works of art in themselves. Stark Young asked if he might have a pair of the trees to put on a table in his living room. He said he considered them equal to any work of art. He went into designing and making shoes because he had a passion for them. He had his own ideas about making them, and he didn't make them for everyone. If Yantorny decided to make you a pair he would make a cast of your feet in plaster, at the same time measuring every inch of booth feet. He would observe them walking barefoot to ascertain just where the weight was placed and he would feel them, holding and balancing them in his hands. He would ask you to contract them and make them limp and then put you through a series of toe-spreadings. If he finally decided to make you your shoes, you could count on the first pair being delivered in about two years. If he liked you very much, as he did Rita, you might hope to get them in a year, or, if a miracle occurred, in six months. 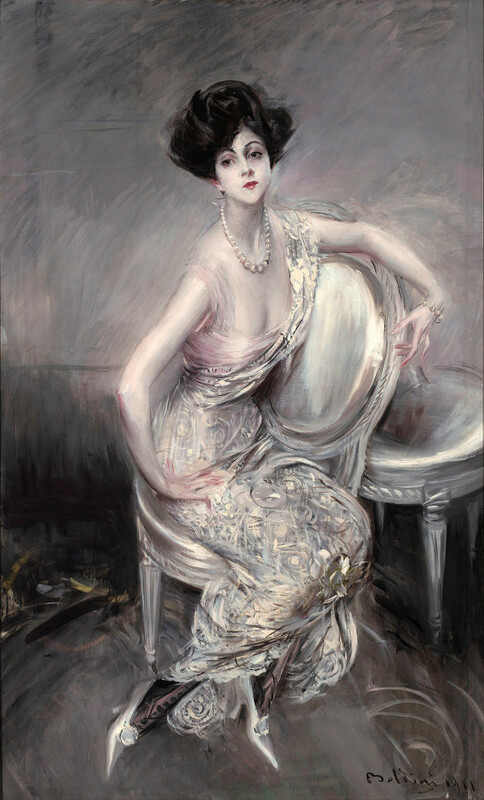 Boldini painted a number of portraits of Rita and I went with her occasionally to his studio when she was posing for him. When he painted he sometimes wore a bowler hat. He was a highly nervous, energetic and astute little man with a flair for style and chic that no other portrait painter in this century ever surpassed.